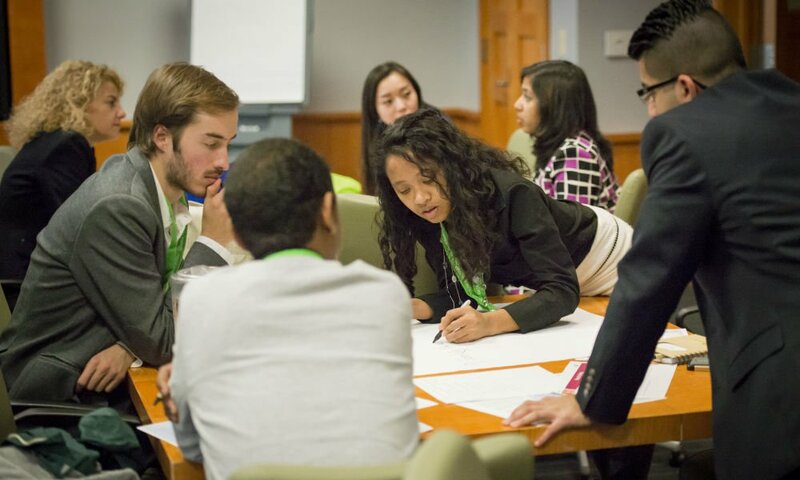 Almost a month ago, the World Bank Group hosted the 2015 Youth Summit: Crowd Sourcing Solutions for Climate Change. The Youth Summit was established in 2013 by the World Bank Group to provide a platform for young people to promote their ideas on development. Summit participants include youth leaders, development experts, private sector professionals, government officials, and students. 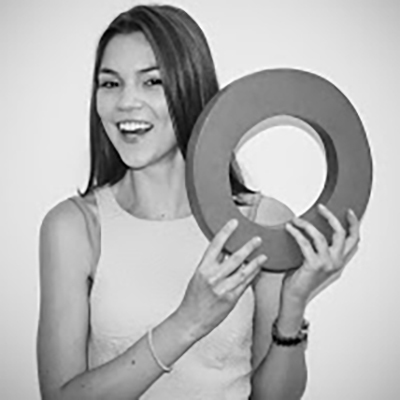 Youth are inspired to come up with solutions to a range of development topics that the World Bank Group covers. The theme of the Youth Summit changes every year and it is decided by the Organizing Committee according to relevance to youth and the international agenda of that particular year. The topic of the 2015 Summit was climate change. This year, the Summit took place in the form of a competition. 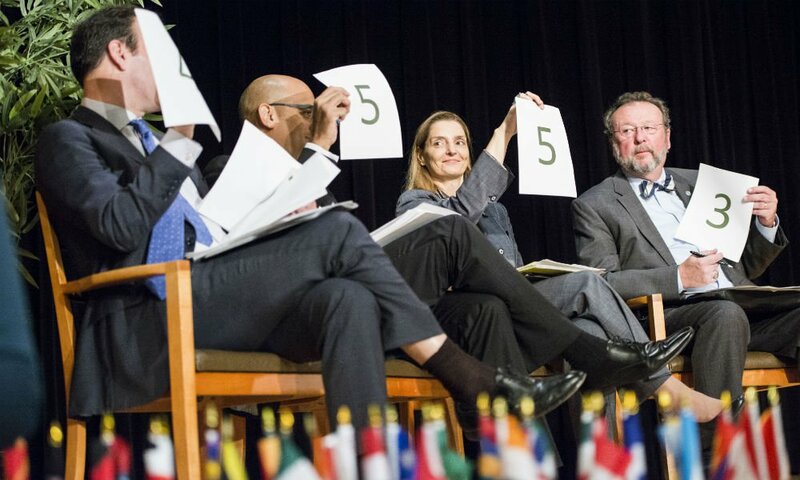 Youth from around the world were encouraged to propose business or policy solutions to adapt or mitigate climate change in a specific World Bank Group client country. The proposals could be no more than 3,000 words and had to include specific means of implementation, outlining exactly how the plan would be funded and put into place. The Youth Summit Organizing Committee received more than 330 submissions in the span of just one month, from more than 70 countries. Once the application period had closed, the proposals were narrowed down to six by the Organizing Committee, climate change specialists, business professionals and a team of World Bank Group experts. 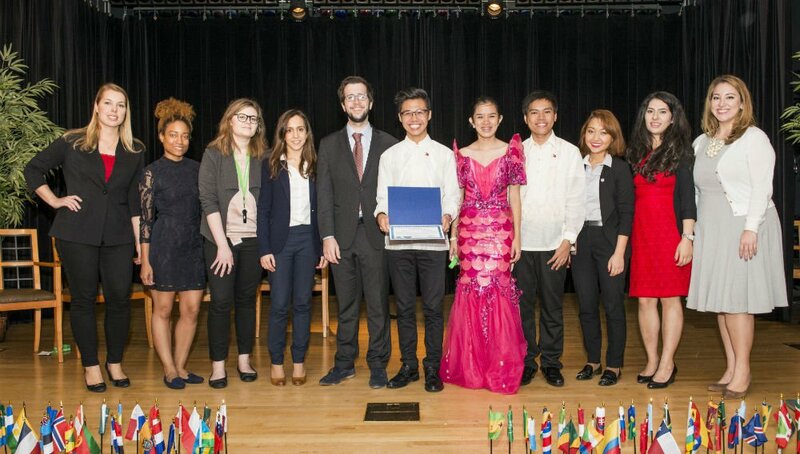 Six finalists were selected from Uganda, Indonesia, the Philippines, Switzerland, China and Mexico, and a member from each group flew to DC to present to a panel of experts. The first day of the Summit consisted of opening remarks from several influential people including Rachel Kyte, the World Bank Group’s Vice President and Special Envoy for climate change, and 15-year old Kehkashan Basu, Youth Ambassador World Future Council and Founder and President Green Hope UAE. The agenda then featured a high level plenary session and skills building workshops. How to make climate action engaging for young people and hands-on training for disaster risk management, carbon finance, green bonds and landscapes were all explored. In addition, The Climate Reality Project gave a group session on leveraging personal stories and social media to address the climate crisis. The second day of the conference focused on presentations given by the 6 competition finalists. Each presentation lasted 7 minutes with time for Q&A from the jury. Here you can see a recap of the presentations and jury feedback. At the end of the day, two winners were chosen. Michael Eschmann, Swiss national and captain of the Team Helios, won the jury vote and Adam Pascual, Filipino national and captain of the Team TREE+PLY, won the audience vote, which included online voting from the more than 12,300 people livestreaming worldwide. The Youth Summit partnered with the International Council for Small Business (ICSB) to give the two winning team captains the opportunity to attend the 2016 ICSB Academy in New Jersey and New York City from June 14-18, 2016. The ICSB Academy teaches students about how to structure and pursue entrepreneurial ventures. The day finished with a call to action and a speech of Arunma Oteh, Vice President and Treasurer of the World Bank. Interested in participating in a World Bank Group Youth Summit? Registration is FREE and open to anyone between the ages of 18 and 35. Visit for more information.